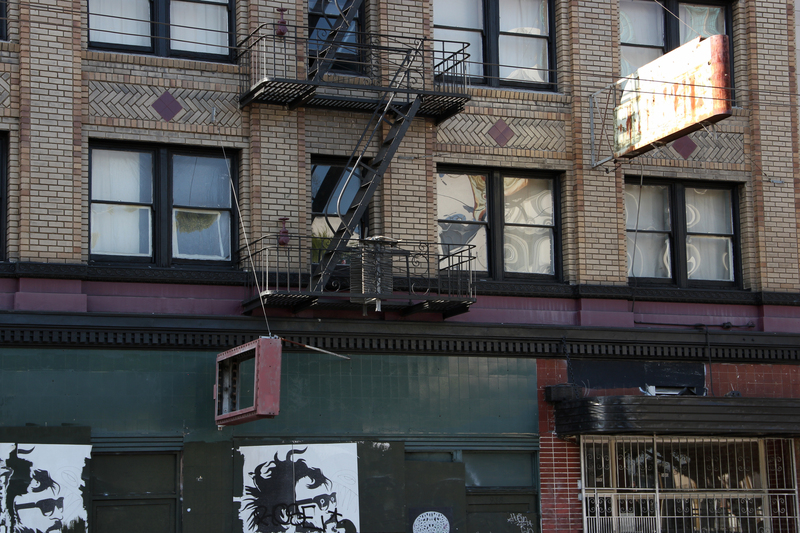 The Chronicle Hote, on Howard Street (I believe, am not 100% sure), Civic Center/South of Market – San Francisco’s Skid Row. Kerouac wrote about the ‘Mars Hotel on 4th and Howard’ in Big Sur – which I couldn’t find, but this Hotel was one of a few I saw that looked how I imagine The Mars Hotel must have looked liked in Kerouac’s time. Kerouac also wrote about the Cameo Hotel in Desolation Angels, Lonesome Traveler, Book of Dreams, Some of the Dharma, and Pic. Carolyn Cassady recalls meeting Jack secretly at the Cameo, after he had left her house in San Francisco in 1954, driven out by Neal’s jealousy. 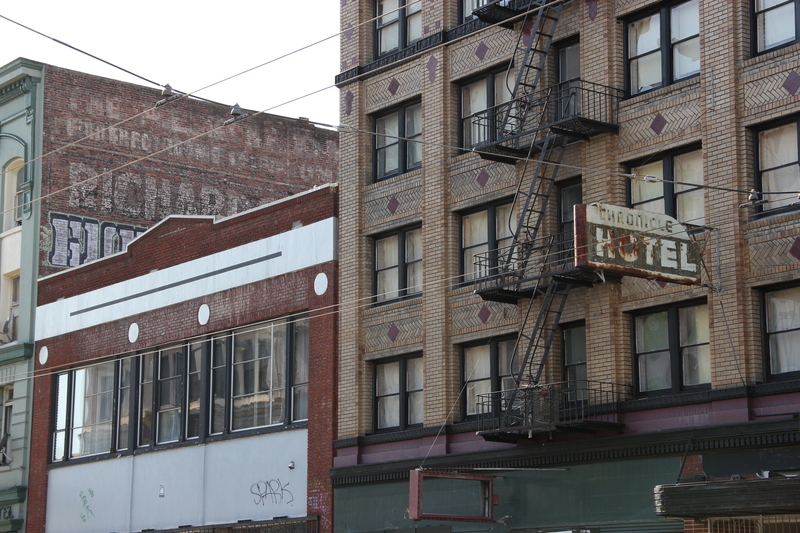 Chronicle Hotel… Chronicle Books… The San Francisco Chronicle… What’s the connection between “chronicle” and San Fran? Sorry, Stephanie, but I can’t shed any light on this question. Hi — I’m a Kerouac fan, fan of the Beats, and wrote a book called BUKOWSKI’S LA (and other books — 2 with Chroncle Books – WEIRDO DELUXE… and WEIRDO NOIR) —— SO… I am a writer who likes PLACEs… (thus the book on Bukowski’s places)… Anyway — the Mars Hotel was on the cover of a Grateful Dead album — (from wiki : The album cover artwork is of the Mars Hotel, a rundown, skid row flophouse located at 192 Fourth Street in San Francisco.) — but I found a GREAT bunch of photos of the Mars hotel — (oh, I lived in SF in the 70s and a friend took my picture in front of the Mars Hotel in about 1976)… check this link out for many cool photos of the mars hotel — http://jerrygarciasbrokendownpalaces.blogspot.com/2012/11/mars-hotel-192-4th-at-howard-street-san.html………. that is very interesting and thanks for checking out my blog. Would really love to see this, unfortunately I get an empty page clicking on the link. What’s the story?